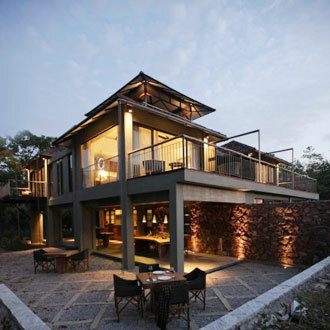 Well known for its wildlife reserve Kabini forms a popluar destination amogst tourist all around the world. It has moderate climatic condition all through the year. Kabini welcomes tourists at any time of the year. The months of November to June are considered to the best time to plan a visit. The major attraction these months offer is its astonishing jungle tour, elephant safari, nature walks, bonfire nights and its beguiling weather. The summers in Kabini are the most favorable as you can spot the green patch of its forest, blooming floras and diverse animals like gaur, crocodile, python, wild dogs and giant elephants . The place is famous for its tribal culture you can wander around its village to and gauge reminiscences of its rich heritage. Monsoons should be bit avoided as they cut down the opportunity to browse its jungles. However, the village looks amazing completely drenched in rain and for rain lovers this can be a good time to plan holidaying at Kabini. Winters –October –February – winters have a maximum temperature around 32°C that can also reach to a range of about 6°C. 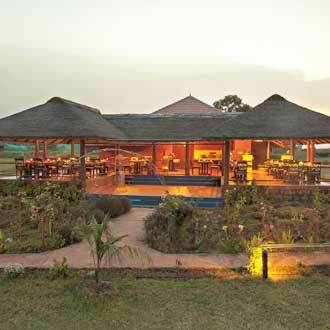 This is an ideal time for tourism at Kabini. Summers – March – May – summers here set in from the month of March and last till may end. 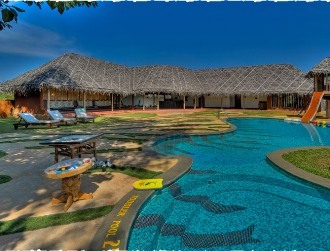 Temperature is around 10°C -37°C with favorable weather conditions it is the best time to enjoy vacation at Kabini. Monsoon –June– September–monsoon showers take place in June and continue till September. The area receives heavy to moderate rainfall. For nature enthusiast this is a good time to enjoy its natural panorama. Pleasant January is amongst the most awaited months of the year, with bright sun shine throughout the day and clear sky. Kabini has balmy weather conditions followed with cold nights, which makes it all time inviting and perfect for outdoor activities. Besides, the tranquil view of its wildlife is worth watching. If you plan to move out in this month make sure you carry woolens along. Pleasant This month witnesses pleasant climate with temperature within cold and bearable range. February here invites visitors to enjoy its highly enchanting dense forest, elephants herd and lush greenery of the town. Also you have the great opportunity to spot the wild and furious tigers, python and many such endangered species. For those who wish to plan an exciting activity then jeep safari or elephant rides can be the best option to go for. Moderately Hot This is the month that brings in the warm sunny days accompanied with pleasant evenings and weather conditions. 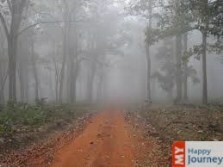 Throughout, March you can enjoy soothing temperature and explore its jungles which can be best enjoyed in this season. Tourists can opt for coracle rides, jungle treks as well as boat rides are great fun and excursion to neighboring villages are additional activities, in Kabini. Very Hot Weather in April is quite warm with vivid temperate days and intense sunrays warming up the surroundings. Temperature in this season hovers around 38°C. However, tourists visiting Kabini can unwind themselves and take pleasure in its benevolent environment and amazing flora fauna. You can fleck its incredible wildlife sanctuary and enjoy a ride on Asian elephants. The weather can be bit humid, make sure you wear light cotton clothes during your trip. Very Hot Kabini remains hot and warm during this month. Temperature at Kabini is sweltering, which can make travelling or wandering around the region a bit tiring thus one can opt for a jeep safari or local transportation that assures relief from the sweat and heat. You can still plan a tour to its wildlife and explore the numerous offerings of the town. Rainy Kabini is an all time tourist’s destination with enthralling outdoor activities that lure influx of travelers all through this month. Similar is its weather, June accompanies intermittent rainfall and warm sunlit days. However most of the days of this month bring in heavy downpour, thus lowering down the temperature. For rain lovers this is the best time to enjoy its incomparable serene exquisiteness. It is recommended to carry your rain gears to protect from the sudden downpour. Rainy July brings in heavy rainfall thus making it the wettest month of the year. Though the jungle tour is avoided in this month as July being an off season, you can still enjoy its local market, ancient temples, green landscape and bewitching lakes of the town are worth watching. You can also opt for tourists packages in Kabini as tariffs are lowered, during this period. Rainy The weather is very pleasant as monsoon showers begin to fade away thus relief from the moist weather. Also the town looks calm and pretty after being washed by heavy rains. Its picture perfect nature imparts everlasting view to your eyes. Make sure you carry along your raincoats to avoid the sudden rains. Rainy Weather in this month is mild and cool accompanied with refreshing winds. Rains diminish completely with the beginning of this month and attract tourists to enjoy its jungle trip. The place becomes all the more picturesque. One can delight in its alluring waterfall, dense forest and remarkable bird-sanctuary. Pleasant October has pleasant days making the weather suitable for traveling in Kabini. This month sees good amount of tourists visiting the region. Moreover, the tourist’s activities like trekking; jungle exploration nature walk can be a great fun with friends and family. The town is full of festivity and its preparation all around. These celebrations make your trip even more memorable. Pleasant This month has apt climatic conditions with soothing weather and comforting temperature, it is the ideal and peak month for tourists visit to Kabini. You can explore its National park, forest through paddle boats and motor boats. 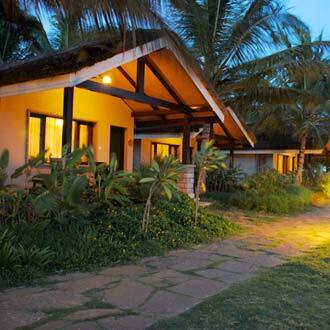 Besides, being in the heart of jungle, there are lodges and small resorts which serve delicious and different variety of food at a reasonable cost. Please carry your light woolens as nights can be quite cold. Pleasant December witness mild winters accompanied with pleasant weather and clear blue sky. This month has high influx of tourists visiting the region and is perfect for planning honeymoon trips or family vacation at Kabini. You can enjoy the splendid wildlife, tribal village and their dances along with this many such outdoor activities can be best enjoyed during this season.